These are an Outdoor Wheel that are great for any outdoor surface. Skating on the Sidewalk, street, or Boardwalk, will be much more fun rolling with these wheels. The soft compund allows these wheels to absorb the impact on the surface and roll over most small debris. 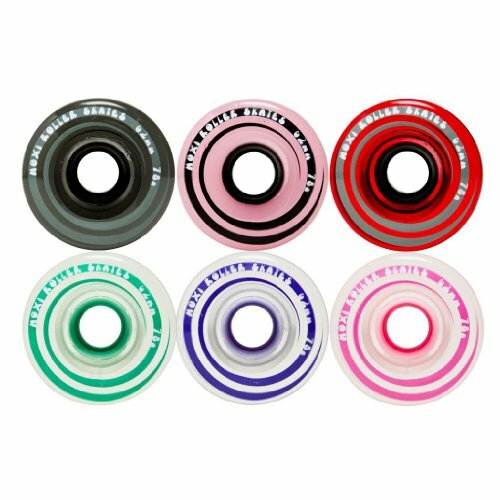 These will fit on just about most any skate - They DO NOT come with bearings for the wheels. View More In Roller Skate Parts. If you have any questions about this product by Moxie, contact us by completing and submitting the form below. If you are looking for a specif part number, please include it with your message.